Inspired by the observation that the influence of observers on random data is small on individual outputs but can be more significant on averages of many outputs, here is a proposal of software which might best help produce images that can be controlled by spirits, for purposes of showing the action of mind on matter in general, and as a possible method of transcommunication (for the case of ghost observers) in particular. I assume a good flow of hardware generated random data. The slowest flow I see in wikipedia that is 26 kbit/s, should suffice. If I could test the program using pseudo-randomness instead of hardware randomness, I could see if it behaves as I meant but without the chances of spirit influence. Things will appear like a video, that is, an image which is continuously modified. There will be a random definition of the region that is under modification. The limits of this region will evolve slowly. In the first times (seconds...) after the start from a uniform grey, the region of modification will be the whole picture. Later, it can go smaller. Inside this region, modifications will go as follows. 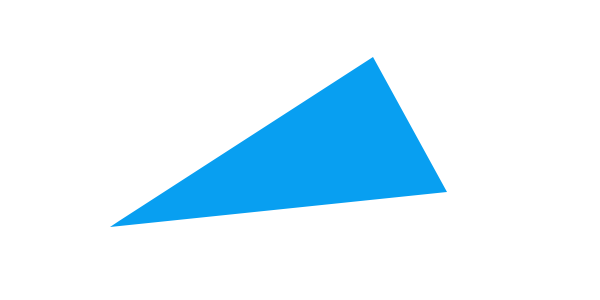 or a little bigger : a triangle with any 3 vertices taken at random, but small ones are more probable than big ones (a large modification region allows for larger triangles). To have good results we may also need to let psychic people test the program with their local hardware random generators. In the first seconds of creating an image, we can give better chances for larger triangles, and also larger color modifications at a time (-1,-2,-3,+1,+2,+3), to let the "first draft" appear faster before details are refined at later times. The program should also include saving images automatically once or a few times per second.